After an almost endless assault of mainly Chinese food over the past 10 days, we were planning to do something different. Now we weren't talking about eating anything too exotic though. 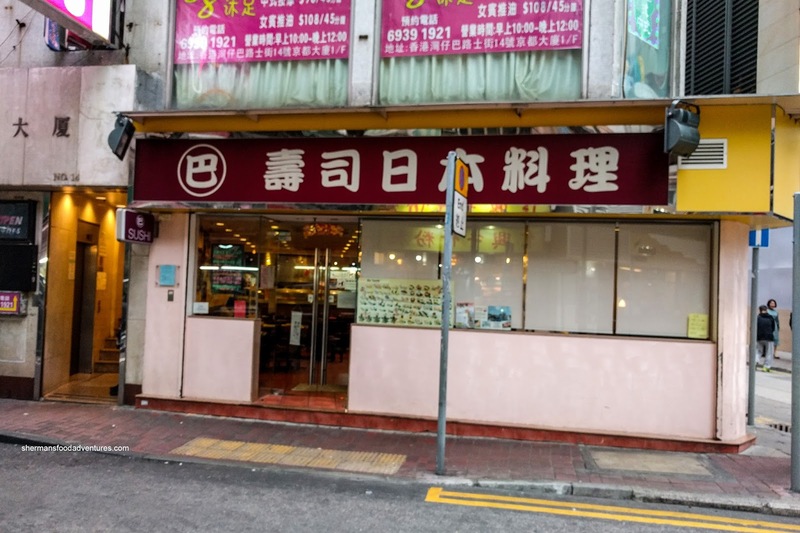 Rather, something less heavy and still stood a chance at being good in Hong Kong - Japanese food. Now we weren't talking about the really expensive joints because we were bringing the kiddies too. So we ended up at a small little joint in Wan Chai called BA Sushi & Japanese Food. Hey, the online reviews seemed favourable and the prices were definitely reasonable. I did the ordering (of course I did!) 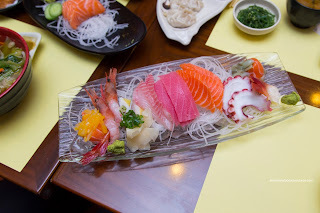 and decided that we needed more than the Assorted Sashimi to satisfy everyone's appetite. 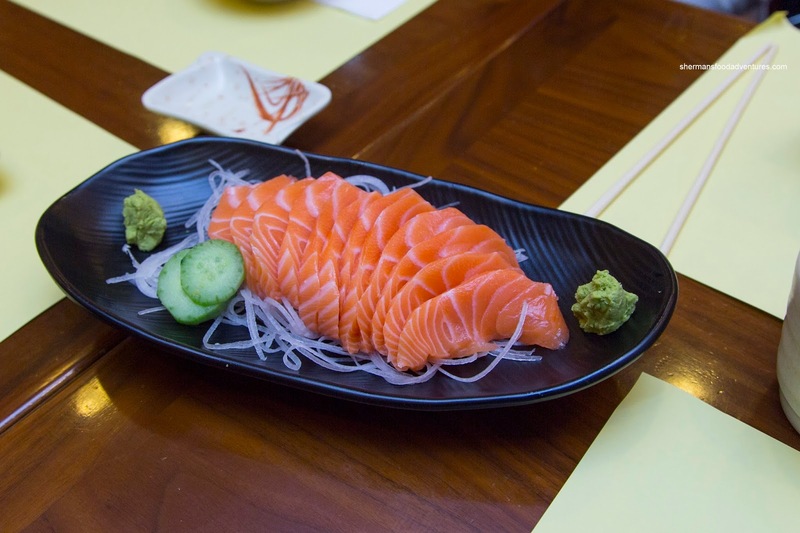 Actually, it was more for my daughter as she loves Salmon Sashimi (so we got a plate of that to supplement the assorted sashimi). Although the presentation wasn't the best, the sashimi itself appeared to be decent in quality and in fact, all the pieces ate quite well. The salmon was buttery and mildly sweet while the tuna was soft, but not in a mushy way. I particularly liked the salmon that was wrapped around ika at both ends of the plate. With that being said, we thought the quality was decent for the price. 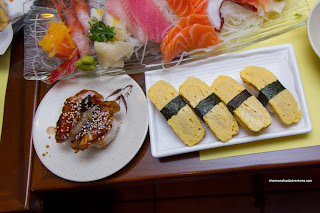 Onto some Nigiri, we had a few orders of Uni, Unagi and Tamago. 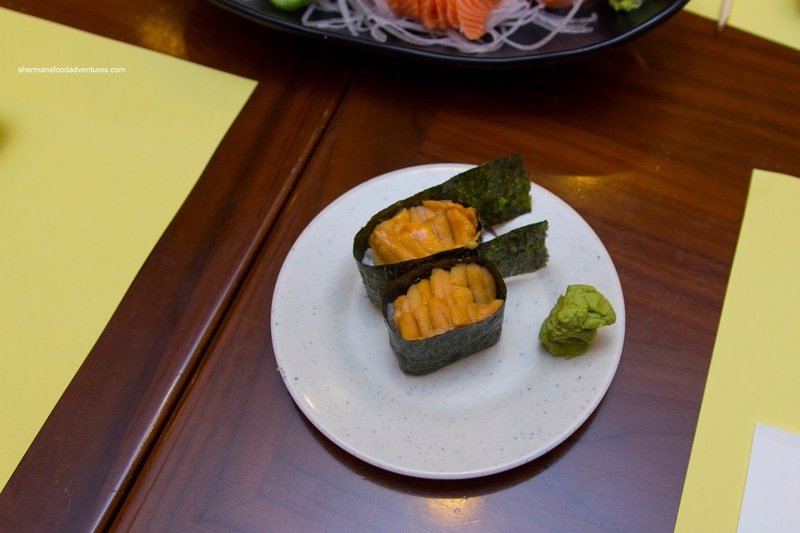 Despite not looking so special, the uni was actually very sweet and fresh-tasting. It was buttery and silky with a bright taste of the sea. As for the sushi rice, it was nicely chewy and not dried-out. We weren't fans of the unagi though as it was crispy rather than soft and moist. Hence, the textures were all wrong. The sauce was nice though being appealingly sweet. My son loves tamago and this one was pretty good as it was prepared the traditional manner with visable layers. This was soft, yet not too soft with a balanced sweetness. 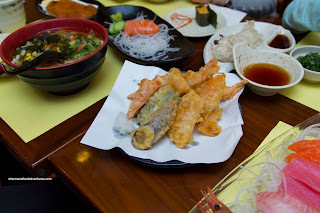 The Assorted Tempura arrived looking pretty dark brown in colour. The batter tasted like it too. I found each piece fried just a touch too long as the exterior was super crunchy and lacking moisture. I found the batter to be dry, and some of the veggies (the yam) were super thin. The ebi were okay though being moist and having a slight snap. 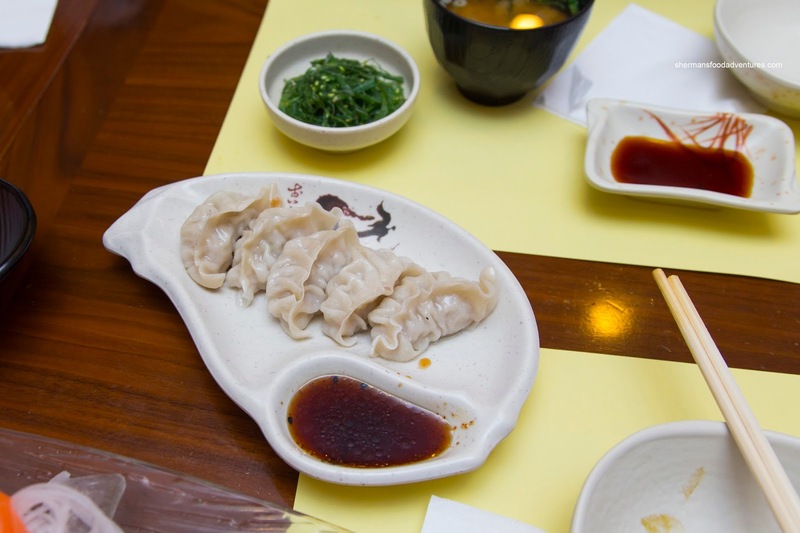 I wasn't a huge fan of the Gyoza as they were not crisped up enough on the bottom. Furthermore, the skin was maybe a bit too thin as it lacked any real elasticity. Inside, the filling was quite loose and lacked meat texture, owing partially due to the amount of cabbage. 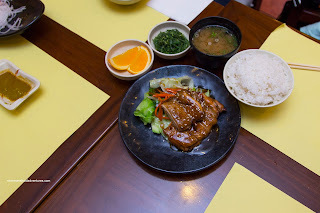 For our carbs, we got the Grilled Chicken Set which included rice, veggies, wakame and miso soup. The chicken itself was quite tender and juicy, but the skin was not rendered, hence it was fatty. It wasn't advertised as teriyaki, so we were not surprised it didn't taste like it. But there was enough sweet and salty flavours going on though. We were a little disappointed with the Fried Pork Cutlet Udon because the pork was dry and tough. On the outside, the breading was crunchy though. 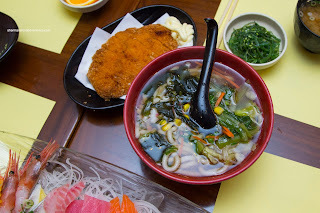 As for the udon, it was fine with a mild-tasting dashi and chewy noodles. Overall, we thought the sushi and sashimi was good for the price. We've had better, but it did the job. The cooked food was pretty average though.